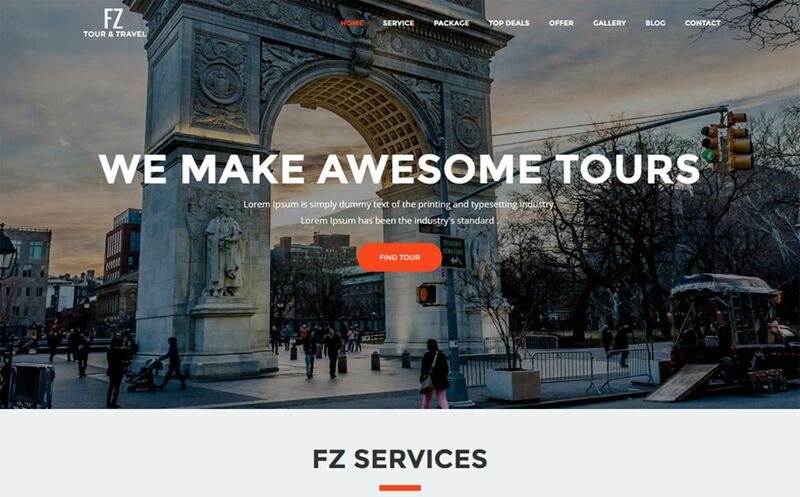 FZ - Tour & Travel Agency Template suitable for travel agencies, adventure parks, tourism and tour companies. It is 100% responsive and looks stunning on all types of screens and devices. Well organized and very easy to customize, FZ is better way to present your modern business.